Rabbi Sinclair relates the following story: In a certain concentration camp, there was one particularly sadistic Nazi officer. One day he ordered a Jew to follow him to the top of a nearby hill. He indicated a cloud of dust rising on the distant Eastern horizon. “Do you know what that is?” “No.” replied the Jew. “That is the Russian Army. In a couple of hours they will be at the gates of the camp. The war is over for you. I want you to eat this piece of ham now, or I will shoot you.” The Jew refused on the spot without batting an eyelash. And the Nazi shot him also without batting an eyelash. Edward Gibbon in his “Decline and Fall of the Roman Empire” writes that of all the nations that Rome subjugated, the only people that clung successfully to its beliefs was the Jewish People. All Rome’s other vassal states managed to segue the Roman gods into their pantheon without batting an eyelash. The Jews, however, were prepared to make the ultimate sacrifice rather than abandon their faith. It is this intransigence, imbued in the spiritual genes of our people by our forefathers, that has preserved Jewish identity to this day. Moshe comes down from the mountain after the Israelites had made the Golden Calf and VAYAR ET HA’EGEL UMECHOLOT, “…he saw the calf and the dances…”. (Ex. 32,19) Then, the Torah states, his anger flared up and he shattered the Tablets of Stone. Why was he surprised when he saw the calf? Hashem had told him that they made it. Why did he bring the Tablets down or why didn’t he shatter them before? The Seforno answers this question. He says that when Moshe was told that they had made the calf he thought he would come down to them and show them their mistake and they would do Teshuva. When he saw that they were dancing and made merry with such joy, he realized that he will not be able to readily pull them away from the calf. He came to the conclusion that they were not ready for the tablets of the Ten Commandments. We often make mistakes. If, however, we do not realize our errors and continue to justify what we did then it is much harder for us to correct our ways. We must be ready to face up and recognize our wrong doing. Only then will we be able to correct our faults. 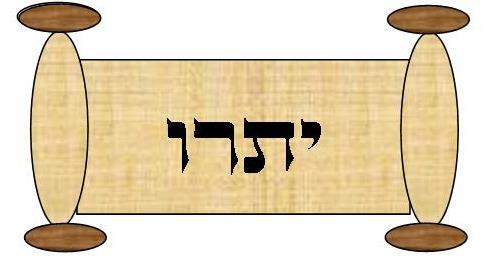 Tetzaveh is the only parshah in the Torah since Moses’ birth in which Moses’ name does not appear (with the exception of the book of Deuteronomy, which consists wholly of a first-person narrative spoken by Moses). The Baal HaTurim explains that the reason for this is that, [when the people of Israel sinned with the Golden Calf,] Moses said to God: “If You do not [forgive them,] erase me from the book that You have written” (Exodus 32:31). This was realized in the parshah of Tetzaveh, since the censure of a righteous person, even if made conditional on an unfulfilled stipulation, always has some effect. The Lubavitcher Rebbe explains that While Moses’ name does not appear in the parshah of Tetzaveh, Moses himself is very much present. The entire parshah consists of God’s words to Moses! 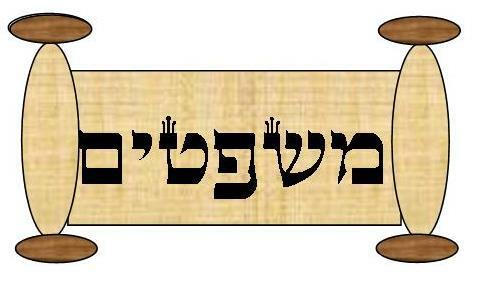 Indeed, the parshah’s first word is ve’attah, “and you”–the “you” being the person of Moses. Indeed, the word “you” connotes its subject’s very self, while a person’s name is a more superficial “handle” on his personality. 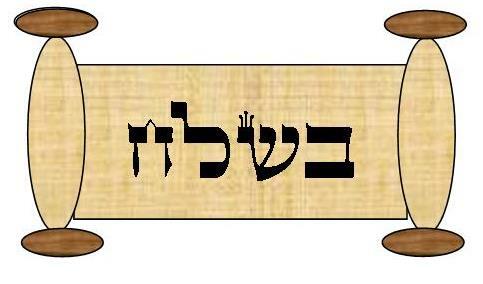 This means that Moses is more present in our Parshah–that is, present in a deeper, more essential way–than any mention of his name could possibly express. This is fully in keeping with the Baal HaTurim’s explanation (cited above). Due to the fact that Moses was prepared to forgo mention of his name in the Torah for the sake of his people, he merited that his quintessential self–the level of self that cannot be captured by any name or designation–be eternalized by the Torah. It is this level of Moses’ self that is expressed by his “nameless” presence in the parshah of Tetzaveh. Parshat Tezaveh is usually read during the week preceding Purim (not this year as it is a leap year in the Hebrew calendar). Rabbi Jay Kelman notes that interestingly, the Megillah also is missing a very significant name, that of God Himself. Purim marks the period in which the direct role of God in history begins to recede. Prophecy has ended. The time has come for the Jewish people to be able to function despite hester panim – God’s face being hidden. Mordechai and Esther must use their political skills to save the Jewish people. Unlike Pesach no overt miracle will come to the rescue. During the formative years of the Jewish nation we needed the hand of God to guide us and prophets to teach us. Purim marks the transformation of the Jewish people. It is the holiday that celebrates the acceptance of the oral law which though its rules are divine, its application is left to the discretion of the Sages of every generation. Man will have to apply the Torah without guidance from God. Moshe Rabbeinu was the faithful messenger of God bringing His word to the world. Yet the Torah is not dependant on Moses and is not even dependant on a “visible” God. 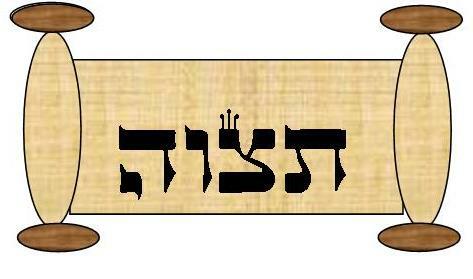 But the Torah itself is eternal. Though the names of Moses and God may be missing from our Biblical reading this week, their presence is not. The hand of God and the Torah of Moses continues to be studied each and every day and though God is hidden those who look can see Him. May we be worthy to feel the presence of God in all that we do making all of our endeavors an implementation of the Divine plan for the betterment of the world. The Alshich asks the following question on the above verse: The trumot were gifts given to Hashem for the construction of the Mishkan and its holy vessels. The verse should therefore say “And you shall give trumah to Me.” Rav Shlomo Ganzfried in his Sefer Aperion (as quoted by Rav Beifus in Yalkut Lekach Tov) answers this question. 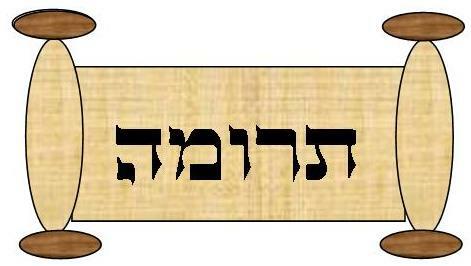 The Torah is telling us that when you give to Hashem, you are really taking. When we give of our time or possessions to do a mitzvah, we receive a reward. The value of that reward is far greater than the cost of what we gave. Moses begins to gather the materials for the Mishkin (tabernacle). This was the holy site where the Children of Israel would offer up their sacrifices to Hashem. The shechina (divine presence) rested upon this holy place. The Mishkan was a holy place. Its holiness was independent of time. The Shulchan Aruch, Orach Chaim 151 tells us how to guard the sanctity of OUR holy places. Joking, idle conversation, and sarcasm are all prohibited there. We cannot enter them only for the purpose of gaining shelter from the outside weather, for a pleasure walk, or shortcut. We cannot discuss our business affairs there. Our clothing and shoes should be clean when we enter these holy places. We have to keep the synagogue and houses of study clean. In this week’s parshah, we learn of laws in the civil realm; what a person must do if he injures or kills another person or animal – murder or manslaughter, laws regarding and governing Jewish and non-Jewish slaves, sensitivity to the helpless and abandoned, and the laws concerning the Three Pilgrimage Festivals. In the following discussion, I will elaborate on some of the above laws. 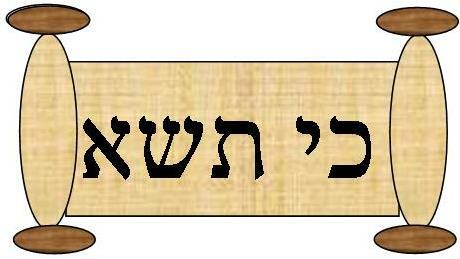 ​It is very important to try and understand why the parshah begins with the conjunctive: “AND these are the ordinances…” instead of starting off by stating, “These are the ordinances.” The Alshekh explains that in putting the conjunctive letter ‘vav’ in front of the first word, the parshah establishes a conceptual link with the preceding 10 commandments. Should a person believe that since the objective of Mishpatim, i.e. social legislation, is the establishment of peaceful and harmonious relationships between people, independent human civil law is EQUALLY acceptable in the eyes of God, the Torah says that this is not so. Only Divinely inspired civil legislation is guaranteed to bring about the peace and harmony God wishes to prevail amongst us. Human jurisprudence, at its best, does justice to what is perceivable by our five senses. Divine jurisprudence also takes into account the inter-relationship between the higher and lower world, about which we know very little. Anyone, who keeps a mitzvah even between man and fellow man, contributes to the harmony in God’s universe including the spheres of the planets and the celestial regions. All this is based on the statement of the Mishnah in Avot 1, that the world is based on three pillars – truth, jurisprudence, and peace. The mere thought that social legislation, which is the result of people who are devoid of sanctity in their lives, could by itself preserve the world indefinitely is inconceivable. The reason, the Alshekh continues, that the Torah talks about ‘mishpatim’ – laws, in plural, is that only by studying a number of laws and rulings, can the fairness of the legislation become evident. A believing Jew could argue that the whole legislation is not needed, since our tradition teaches that God allocates to each individual a certain amount of material needs for each year – the amount to be determined at New Year. Hence, if someone loses money through theft, robbery, or any other cause, it was only an expression of God’s will, and the thief would not be allowed to wind up with either more or less than had been allocated to him by God. This is because any decision made in a properly constituted Jewish court would merely reflect the judgement already made in a higher tribunal – in heavenly court. ​With regard to slaves, we read of a slave who is a married man: “ If he is the husband of a woman, his wife shall leave with him “ (Exodus 21:3). The Or Hachayyim comments that one must accept the Mechilta Acharite de Rabbi Shimon who says that the wording implies that the master has to supply the needs of the wife only if she is an appropriate wife for the slave. Should the slave be married to a woman forbidden to him under Jewish law, even if the marriage was legal under Jewish law, his master has no obligation towards her. This raises the question why the master is allowed to assign a woman who is forbidden to this slave as stated specifically both in the Talmud and in ch.3 and ch.4 of Maimonides’ Hilchot Avadim. Maimonides distinguishes between the right to live with such a woman and the master’s obligation to provide for such a woman when she is not his slave. If the slave was betrothed to a woman, he is no longer characterized as single, and the master is entitled to assign a slave-woman to him while he is in his service. According to a discussion in Kiddushin 20, the same applies if the slave had children from a wife who had died in the time he had betrothed himself to another woman. He is then considered as fitting the definition of having both a wife and children so that the master can assign a slave- woman to him as a marital partner. ​A very important mitzvah is for us to refrain from taunting or oppressing a stranger, a widow, an orphan, or those who are weak and helpless. Sensitivity to others is very important, and one must not jump to conclusions or judge others, unless they know the whole story. Even then, we should hold back from rendering judgement on someone’s actions. The Lubavitcher Rebbe tells the following story: “You walk down the street and see a man on crutches leaving a doctor’s office. You might think that the doctor was incompetent – the patient went to visit him, paid a substantial fee, followed the doctor’s instructions perfectly, and took all the prescribed treatments and medicine. Obviously, this patient has the wool being pulled over his eyes! But your opinion will change if you are told that prior to visiting the doctor, the patient was hopelessly crippled and paralyzed. Now, at least, the doctor has been able to rehabilitate him to the extent that he can move under his own power. It may further be pointed out that he can not only move and walk (albeit with crutches), but that he is making significant progress. Hopefully, he will continue to improve and will ultimately be able to discard the crutches, if only he continues to follow the doctor’s advice. By the same token, all people have certain built-in attributes from birth. By means of proper rehabilitation, through the influence of good teachers, and particularly through self-learning programs, the weaknesses and handicaps can be diminished and overcome. The weakness should NOT be ascribed to the ignorance of the individual, or to the doctor’s advice. It is our obligation to see to it that we do not mock or ridicule or judge these individuals who are physically or mentally challenged. Rather, we should do whatever is in our power to make them feel welcome and help them find the resources that could help them with their quality of life.